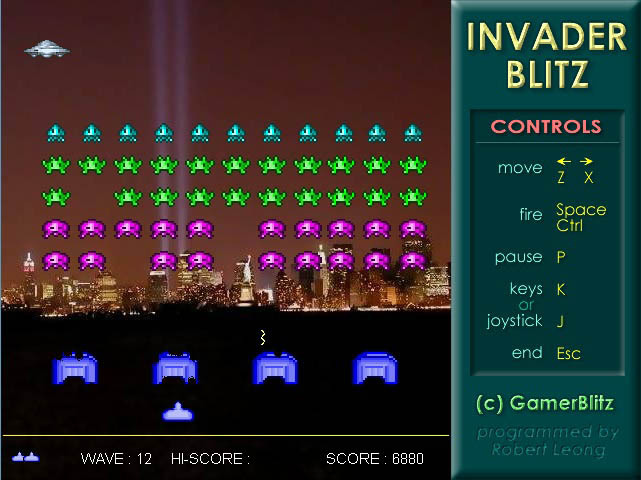 Our version of Space Invaders for the Windows PC. 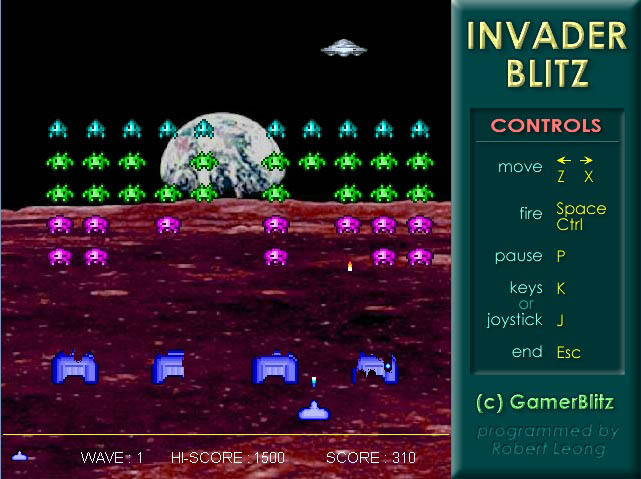 Shoot to destroy the descending horde of alien invaders before they land. 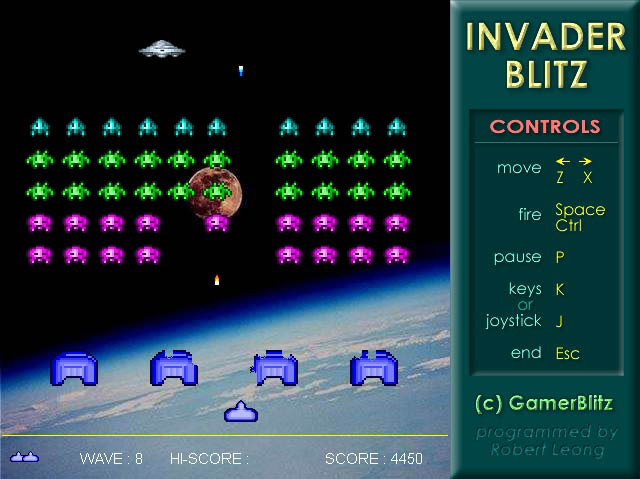 Original version programmed in 2002. Since then, some later graphic modes may run slow/not supported.